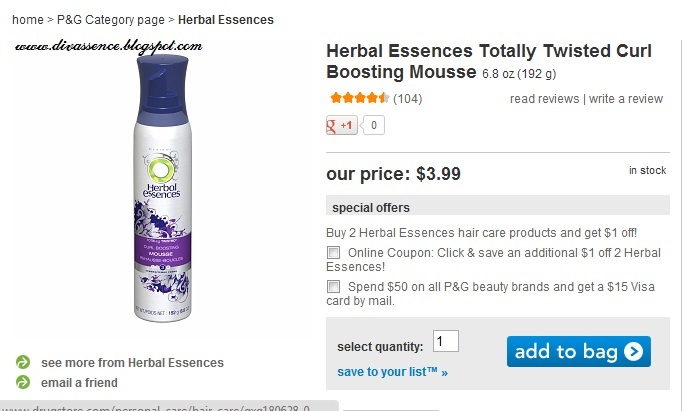 Herbal Essences Totally Twisted curl Boosting Mousse: Review - Divassence! 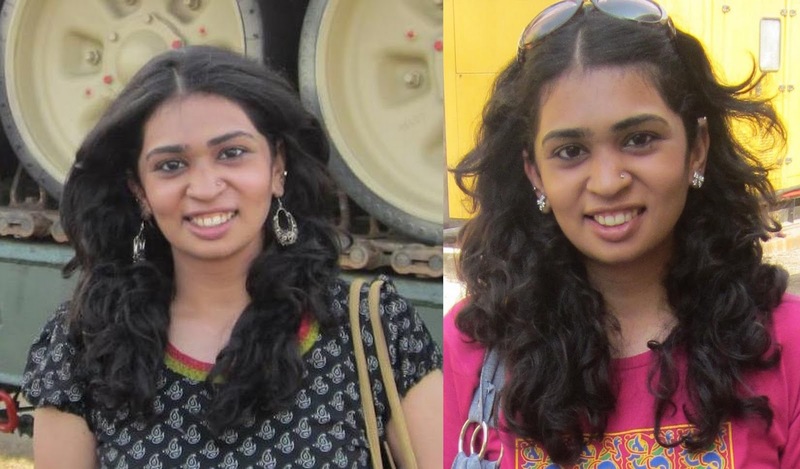 I have always wondered whether having curly hair was a boon or a bane. My hair is extremely thick, gets tangled easily and gives me nightmares. When I was a kid, my mom used to oil my hair and literally fight with my hair and treat it like her possession. My dad used to secretly take me to the saloon and get my hair chopped and my mom used to fight with him and cry over her hard work! As a kid I never understood what the fuss was all about. And then as I grew up and was allowed to take care of my own tresses reality struck me (boohoo!!) Any product I tried made my hair dry and coarse. My journey for the right hair products started then on. But on the journey of discovering the right products for my hair I discovered one of the most amazing products for my curly hair! Presenting to you Ladies and Gentlemen the Herbal Essences Totally Twisted Curl Boosting Mousse!! Tadaaa! I love love love this one! I cannot say enough about this! I randomly saw this on drugstore.com and asked my aunt to get it for me. And Thank God I did! It is definitely a must have for me now! A lovely purple can with a nozzle (which is purple in color too). 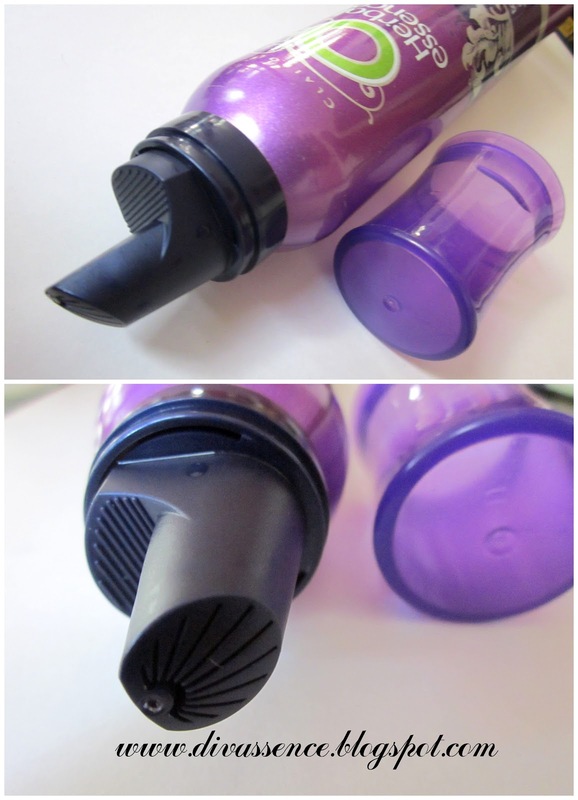 It has a plastic cap which protects the nozzle from getting dirty. The packaging is sturdy but i don’t find it travel friendly. After taking out some of the product, I work it through my hair leaving the root and scrunch my hair till the curls are well defined. Works better on wet hair though.. I dont use a diffuser or a hair dryer. I just let it air dry. It defines my curls really well! I have never had a bad hair day since I got this one! You don’t need a lot of product to define your curls. A little mousse goes a long way!! Love the fragrance! I really don’t know how to describe it but it smells good! Loved the packaging! The purple packaging is way better than the new packaging! It does not weigh down my hair. Although it is a little sticky it settles in after a while. There is just one thing I don’t like about the product which is its unavailability in India. Hey deepika, this product has worked wonders yaar, you have lovely mane! Sounds gr8!! Deepa from what Ive seen of you you have straight hair.. so this might not suit you. Try Loreal total repair 5 or Avon frizz control lotus sheild serum although i think that might weigh your hair down :/ did you try the schwarzkopf stuff?? oooh do review all of them! would love to see your take on them! Nice product! I want to buy it now. the shampoo dint work for me at all!! i have springy curls.. like maggi..